The U.S. has moved head of Russia, Saudi Arabia and other OPEC nations earlier this year to become the world’s largest crude oil producer with estimated crude production at 10.9 million barrels per day at the end of August, according to preliminary estimates in the U.S. Energy Information Administration’s recent short-term forecast. In announcing Wednesday (Sept. 12) that U.S. crude oil production exceeded Saudi Arabia for the first time in more than two decades, the EIA is confirming recent industry forecasts that technology advances and efficiencies by U.S.-based oil and gas companies exploring and development liquids-rich shale play has put the U.S. back atop the global energy sector and achieve energy independence at the same time. Earlier in June and August, the EIA reported that the U.S. surpassed Russia in crude oil production for the first time since February 1999. That outlook was well ahead of an earlier forecast by the International Energy Agency, which predicted the U.S. would likely overtake Russia as the world’s largest oil producer in 2023. The EIA noted it does not publish crude oil production estimates for Russia and Saudi Arabia in its short-term outlook. The influential research and energy forecaster for the U.S. Energy Department, however, said it expects U.S. crude oil production will continue to exceed Russian and Saudi Arabian crude oil production for the remaining months of 2018 and through 2019. “U.S. crude oil production, particularly from light sweet crude oil grades, has rapidly increased since 2011. Much of the recent growth has occurred in areas such as the Permian region in western Texas and eastern New Mexico, the Federal Offshore Gulf of Mexico, and the Bakken region in North Dakota and Montana,” the EIA said of the emergence of U.S. shale plays in returning U.S. oil production to global prominence. According to EIA officials, the oil price decline in mid-2014 resulted in U.S. producers reducing their costs and temporarily scaling back crude oil production. However, after crude oil prices increased in early 2016, investment and production began increasing later that year. By comparison, Russia and Saudi Arabia have maintained relatively steady crude oil production growth in recent years. Saudi Arabia’s crude oil and other liquids production data are EIA internal estimates. Russian data mainly come from the Russian Ministry of Oil, which publishes crude oil and condensate numbers. Other sources used to inform these estimates include data from major producing companies, the International Energy Agency, and industry publications, among others. In the new short-term forecast release on Monday, the EIA predicts international Brent crude oil spot prices averaged $73 per barrel in August, down almost $2 from July. EIA expects Brent spot prices will remain at $73 per barrel for the remainder of 2018 and rise one dollar to $74 per barrel in 2019. Now that U.S.’s premium, like sweet crude is back in the international spotlight, EIA expects West Texas Intermediate (WTI) crude oil prices will average about $6 per barrel lower than Brent prices in 2018 and in 2019. Based on New York Mercantile Exchange WTI futures for December 2018 delivery that traded over the first five days of September, the EIA said it expects U.S. light, sweet crude to trade in a range of $56 to $85 per barrel through the end of 2018. 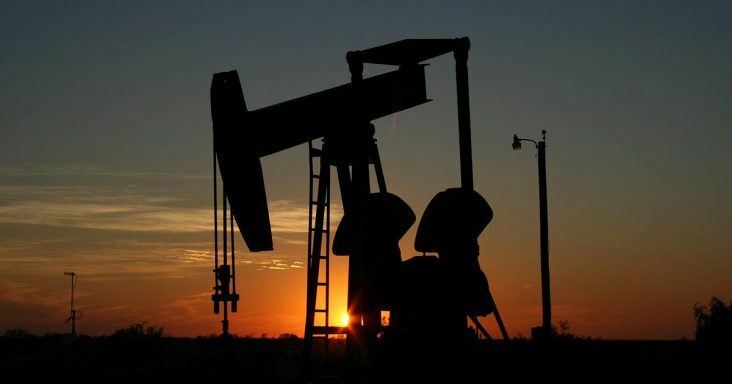 The EIA also estimated that U.S. crude oil production averaged 10.9 million barrels per day in August, up by 120,000 barrels per day from June. U.S. Energy Department forecasters also predict U.S. crude oil production will average 10.7 and 11.5 million barrels per day in 2018 and 2019, respectively, up from 9.4 million in 2017.